Segment: Mt. Lowe Road to Junction with North and Upper East Mt. Lowe Trails. Stats: From Mt. Lowe Road to Junction: 1.2 miles, 900′ gain. From Junction to Mt. Lowe Road: 1.2 miles, 900′ loss. Round trip: 2.4 miles, 900′ gain and loss. Eaton Saddle to Mt. Lowe, Inspiration Point, Mt. Muir, and Mt. Markham: 8.8 miles, 2211′ gain and loss. Sam Merrill Trail, Castle Canyon Trail, East Mt. Lowe Trails to Mt. 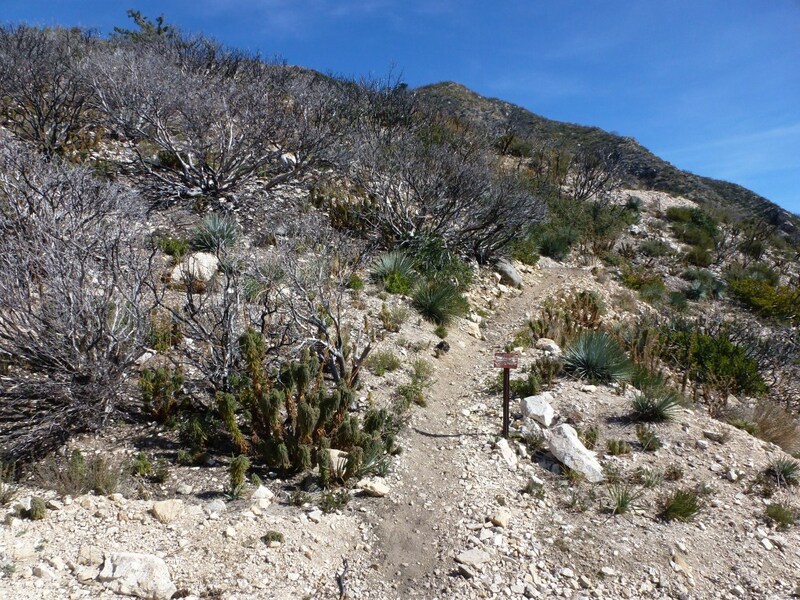 Lowe: 12.8 miles, 3862′ gain and loss. Upper Sunset Ridge Trail to Mt. Lowe: 15.2 miles, 3508′ gain and loss. 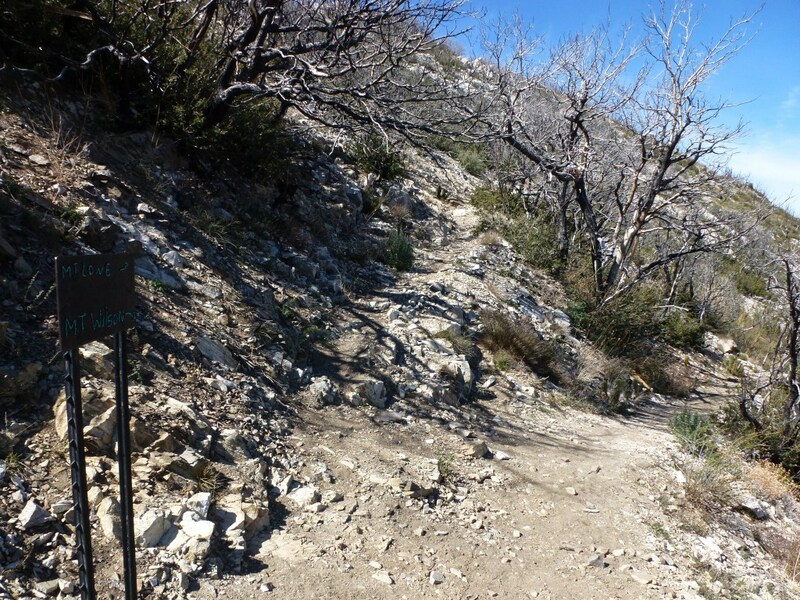 Other than the trail that is clearly marked leading to Mt. Lowe Campground, other splits in the trail reconnect to the trail until you reach the Junction with the Upper East Mt. Lowe Trail and the North Mt. Lowe Trail. Up goes to Mt. Lowe, down leads to Markham Saddle (though the sign says Mt. Wilson which is much further away).